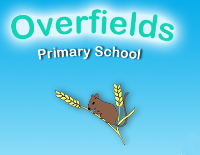 Overfields Primary School meets the needs of pupils with Special Educational Needs and is supported by the Local Authority to ensure that all pupils, regardless of their specific needs, make the best possible progress in our school. We are as an inclusive school as possible, with the needs of pupils with a Special Educational Need/s and or disabilities being met in a mainstream setting wherever possible, where families want this to happen. We want all our children to feel that they are fully-included and a valued member of our school community. Middlesbrough Council also fund a small number of places within its resource provision for young people with speech and language needs.